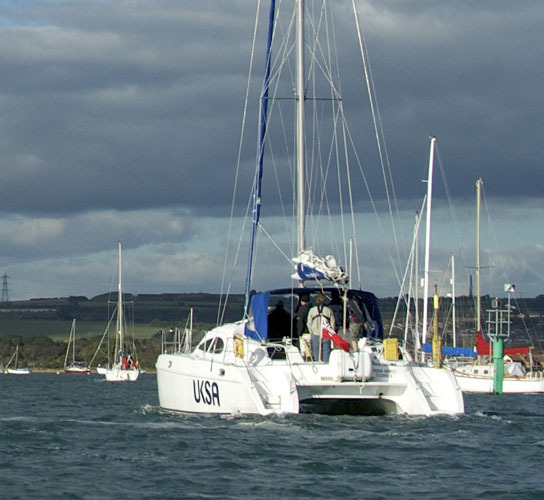 Rupert Holmes picks six of the best comfy catamarans money can buy. Cruising catamarans have become increasingly popular since their introduction in the 1960s thanks to the space and privacy their accommodation layouts afford, as well as levels of natural light and ventilation that are often many years ahead of those offered by monohull cruising yachts. Olympic canoeists Roland and Francis Prout were one of the pioneers in the early days of catamaran design. The brothers soon saw the potential of the format to deliver spacious cruising yachts, which led to their company becoming the world’s largest builder of cruising catamarans. The Prout Snowgoose was originally a 35-footer, then extended to a 37ft model. The most popular model by far was the Snowgoose, launched as a 35 footer in the early 1970s, but extended to 37ft at the end of that decade. It was a model that sold in huge numbers and remained in production for almost 30 years, with many changes during that time, including a significantly higher standard of fit out, tweaks to the hull design and a wider bridgedeck. Even the early boats introduced what were then innovative features. These included a bridgedeck ‘nacelle’ that helped increase the marginal headroom here. In addition, the rig was mounted well aft in the boat, with the mast at the front of the cockpit. The rationale behind this was that the entire sail plan could easily be handled without going forward, thanks to the large roller reefing genoas. The Snowgoose was never a quick boat to windward and the low bridgedeck tends to slam badly in head seas. However, it fares better on other wind angles and many examples have successfully crossed oceans. Another drawback by today’s standards is that the canoe-stern hulls have relatively poor load carrying abilities and don’t lend themselves to fitting a bathing platform with swimming ladder. Nevertheless, it’s the accommodation that has always attracted buyers, with the boat today still offering significantly more volume and privacy than monohulls in a similar price range. Search all Prout Snowgoose cats for sale on boats.com. This is one of the most popular catamarans of its size, with hundreds built in the 10 years after the model’s launch in 1997. 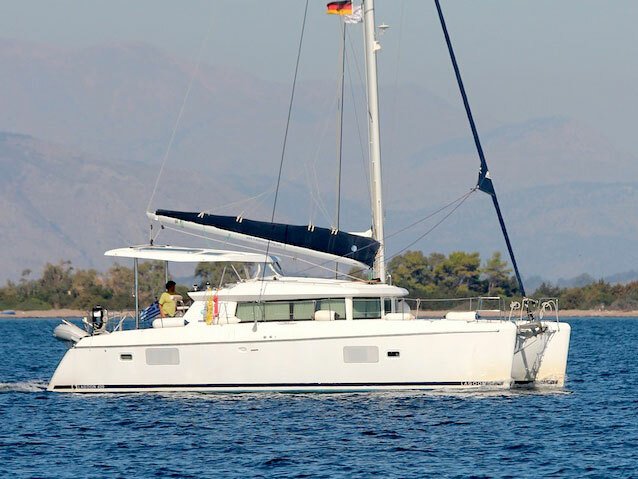 The Fountaine Pajot Bahia 46 – most of which were built with four en-suite cabins. 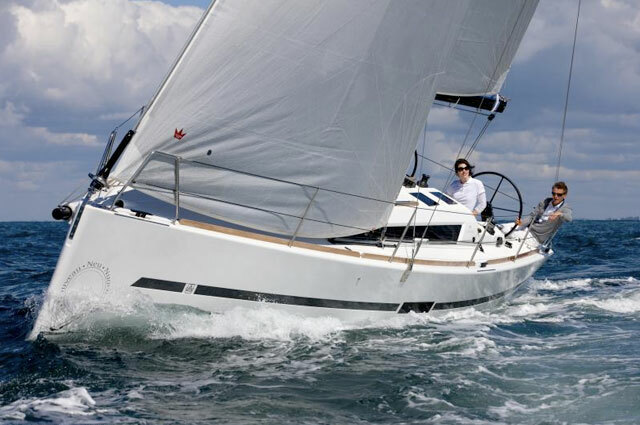 It offers all the hallmarks of a cruising catamaran, including stub keels, rather than more performance oriented daggerboards or centreboards. 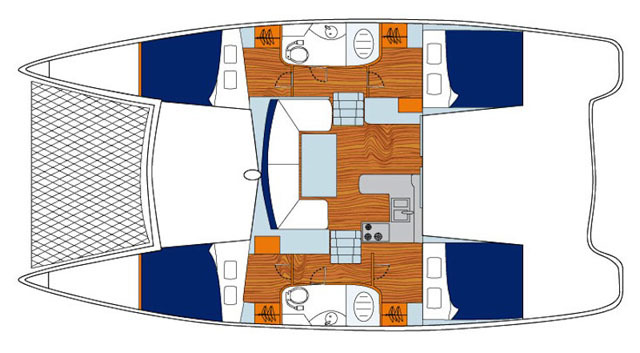 The reasonably wide hulls help to improve interior space in the cabins, as well as width in the passageways between the heads compartments. The wider hulls also add additional load carrying ability, although this is a reasonably light boat, at least when unloaded, which helps in the performance stakes. Accommodation-wise, most Bahia 46 owners get a layout with four spacious en suite cabins, plus a bright saloon and decent galley on the bridgedeck. A smaller number of boats were also built with a ‘Maestro’ layout, with the entire starboard hull given over to an impressive owner’s suite. There’s also acres of deck space, with in many cases the sun shade provided by a canvas bimini, rather than the heavier hard tops that have since become the norm for cruising catamarans. See boats.com for the 2014 Fountaine Pajot Helia 44 review. Catamarans have become progressively more popular in charter fleets, even in the Mediterranean where their wide beam can limit berthing options in harbours where you park bows or stern to the quay. As a result, the big charter companies have had a lot of input into the design of some models. The Sunsail 384 packs in four double cabins, a pair of heads compartments – both with separate shower stalls – and an impressive galley and seating area. The Leopard version reduces capacity to three cabins. This model from 2010 was designed to provide comfortable accommodation for four couples within reasonably compact overall dimensions. Each hull houses a decent sized double cabin, as well as a well appointed heads compartment with a separate shower stall. The bridgedeck accommodates an impressive galley, plus a large seating / dining area. 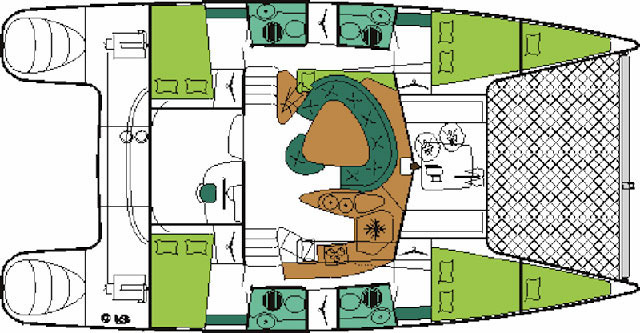 A three cabin arrangement was offered on the Leopard version (which was also sold as the Moorings 3800), with the starboard hull given over to a larger owner’s cabin, with a big separate shower room. On the downside, it’s a relatively heavy boat by catamaran standards and is not as hydrodynamically efficient as more performance oriented alternatives. Nevertheless, the wide beam, together with powerful twin engines makes for excellent manoeuvrability, while speed under power in flat water is close to 9 knots – significantly faster than a monohull of a similar size. Although only built for a three-year period from 2007-2010, the Lagoon 420 took over from the Fountaine Pajot Bahia 46 (mentioned above) as cruising favourite in this size range. 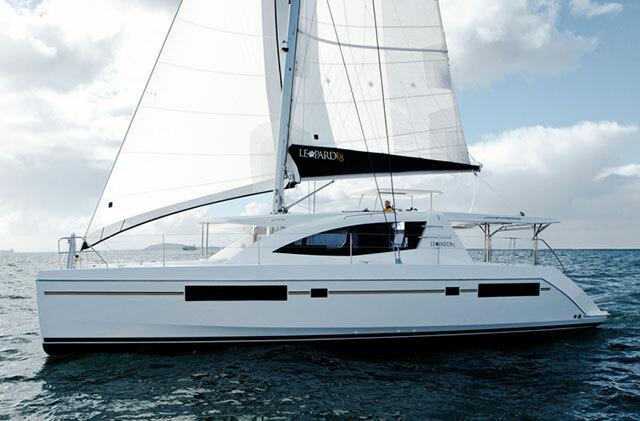 Spacious accommodation and a raised helming position with full sail controls makes this a fun and easy catamaran to sail. It’s easy to see why thanks to the spacious sleeping cabins, each with a large peninsular double bed and en suite facilities, plus both inside and outside lounging/dining areas. 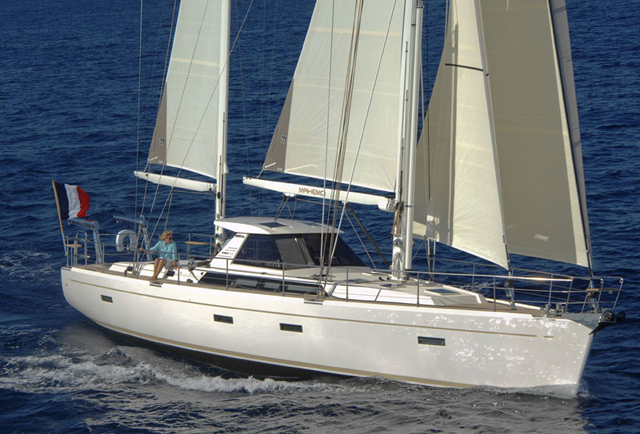 The 420 also formed the basis for the Lagoon 421, which is still in the company’s current line-up of models. All sail controls are led to the raised helm position, making it possible to control the boat, including hoisting, lowering and reefing the mainsail, from here. On the downside, at more than 12 tonnes it’s a heavy boat, which inevitably impacts on sailing performance, although fans of the model would argue that’s a price they are very happy to pay in exchange for the interior space and associated comforts. 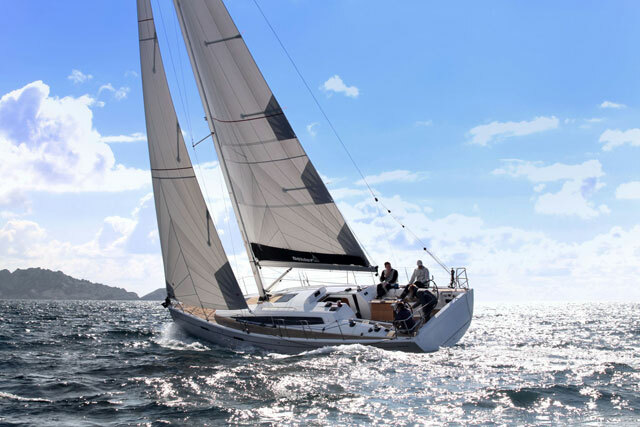 Another British built catamaran, the Broadblue 38 follows in the wake of the Snowgoose, but with more up to date design, construction and styling. Significantly, it’s also a beamier boat than earlier British designs, although it’s still not as beamy as most later designs. 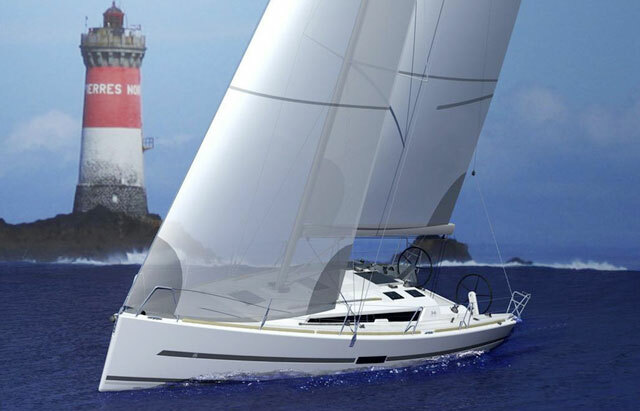 The Broadblue 38 makes use of its wider beam to increase sail area, improving performance. With multihulls additional beam has important advantages beyond the obvious additional bridgedeck accommodation and deck space as this also increases stability. 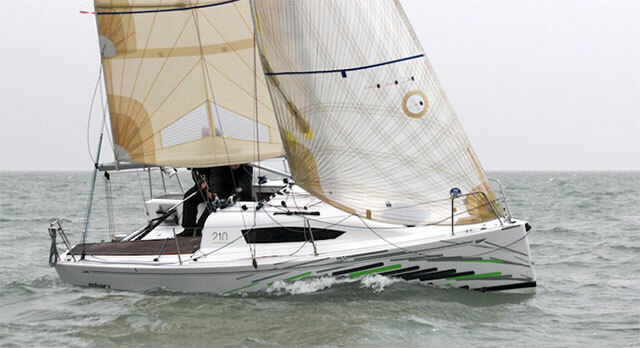 As a result the boat is intrinsically better at resisting capsize, which gives designers the option of increasing sail area and therefore performance in light airs. The Broadblue 38 was built from 2002 until 2008, when it was replaced by the 385. This British built 30-footer had its origins in the mid-1960s offshore racing scene, but it was soon recognised that it offered a good starting point for a boat with more comfortable accommodation. After 70 examples of the original model were built, the Mark 2 version, which featured larger and better-finished accommodation was launched in 1969. This remained in production for over 10 years, with more the 250 examples built. 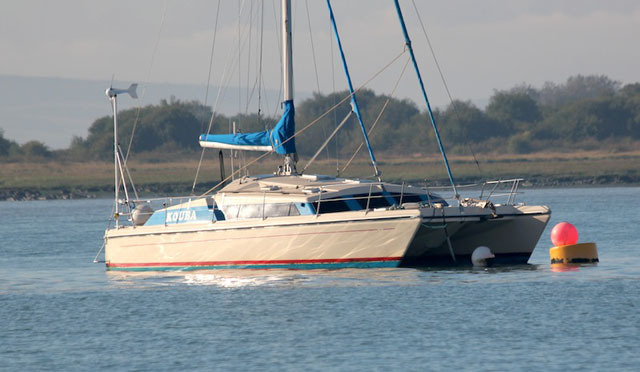 The design was then developed into the Comanche 32, a much larger extended version that also benefitted from additional freeboard to give standing headroom in the bridgedeck saloon. The Iroquois started out as a racer but evolved into a comfy cruising cat by the late 1960s. On the downside, the Iroquois is narrower than later catamarans, which reduces stability and therefore sail carrying ability. 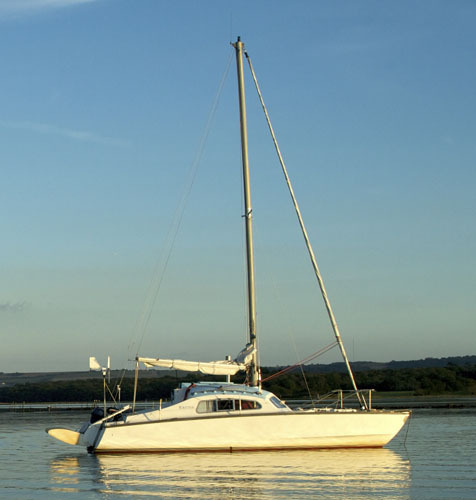 However, it remains a practical choice for those looking for a boat with spacious accommodation, shoal draught and reasonable performance at a budget price. 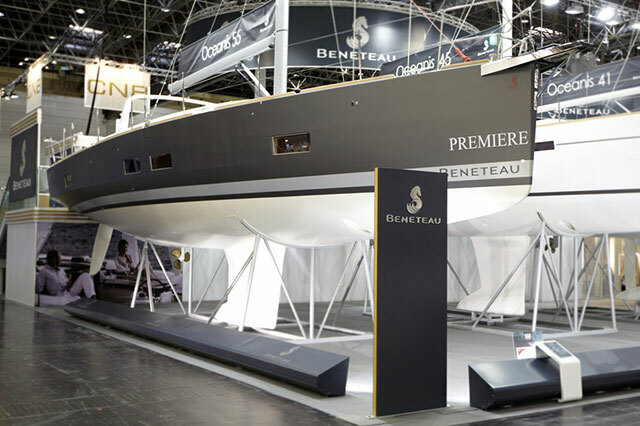 Unlike most catamarans, the Iroquois tends to change hands for similar prices to monohulls of a similar age and overall length. Search all Iroquois catamarans for sale on boats.com.